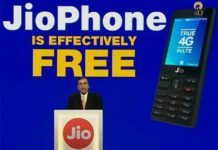 Jio User Ke Liye Ek Acchi Khabar Aa Gayi He. Jio Ne Apne Naye Recharge Or Validity Plan Launch Kar Diye He. 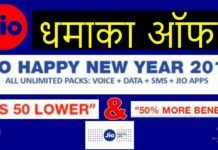 To Bas Hamko Jiska Intezar Tha Wo Jio Ne Aab Hame De diya He Or Jio Ne Is Baar Kaafi Plan De diye He To Dosto Enjoy Jio New Plan. 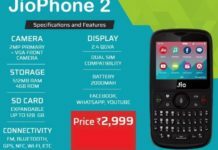 My Choice Best Jio Plan is Unlimited Calls and Data ( 1 GB/Day, 4G) at Rs 399 only, for 84 Days. Open This Link Click Here. Done, your plan will be activated soon.